The AACC hosts events all over the country for thousands of attendees with some of the most dynamic keynotes offered in the counseling field. It is, however, those serving behind the scenes who ultimately make our conferences possible. As staff, we are always grateful for the incredible service provided by our volunteers to make these events so worthwhile! 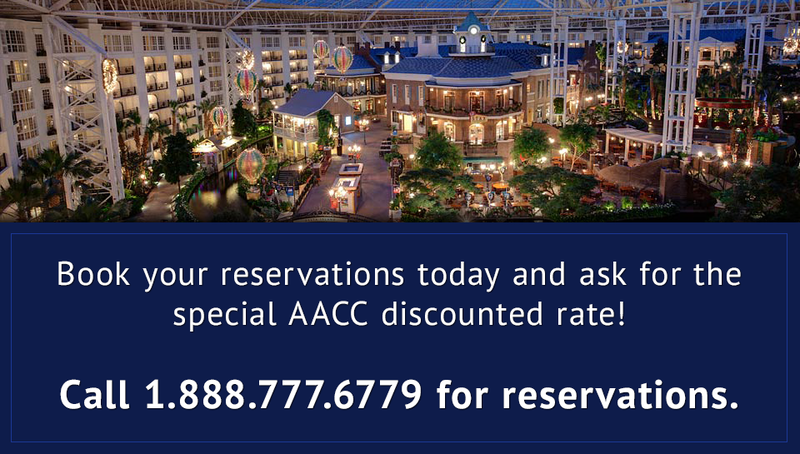 In return for volunteering, AACC will waive the price of the conference registration. Each event has various volunteer positions… and within each position, different schedules. We design the schedules to help maximize your time at the conference. Volunteering is a great opportunity to meet the AACC staff and do some networking, while also serving God. As Christians, we get to respond to who He is in service to His people, for His name. We would love to have the opportunity to serve alongside you! The AACC currently needs volunteers for the 2019 “Rise Up” World Conference in Nashville, Tennessee. We will be hosting this event at the beautiful Gaylord Opryland Resort & Convention Center. Those interested in volunteering can simply click on one of the three buttons below and register for one of the numerous positions. The volunteer pages have been broken down into various times when we need volunteers the most. Each ticket type contains specific times, dates, and descriptions for what you will be doing as a volunteer. Please review this information carefully and keep it in mind when selecting your volunteer assignment. Can I earn CE credits as a volunteer? Volunteers are welcome to use this opportunity to gain CE credits. As a volunteer, your registration for the event is free. However, if you are using this opportunity to receive CE credits, you will need to call our office and pay $74 for your CEs separately. Note: You will need to wait until you receive your World Conference registration to pay for your CE credits. CE Credits can also be purchased onsite at the event. Our toll free number is 1-800-526-8673. If for any reason, you cannot volunteer, please notify us immediately at volunteer@aacc.net so we can fill your spot. Your conference registration will be cancelled upon receiving your notification. Please note that any add-ons purchased – such as CE credits, luncheons, dinner theater tickets, etc. – are non-refundable. Please send us an e-mail at volunteer@aacc.net and our staff will assist you with your needs and provide further details. AACC is committed to assisting Christian counselors, the entire ‘community of care,’ licensed professionals, pastors, and lay church members. Our goal is to equip clinical, pastoral, and lay caregivers with biblical truth and psychosocial insights that minister to hurting people and help them move to personal wholeness, interpersonal competence, mental stability, and spiritual maturity.